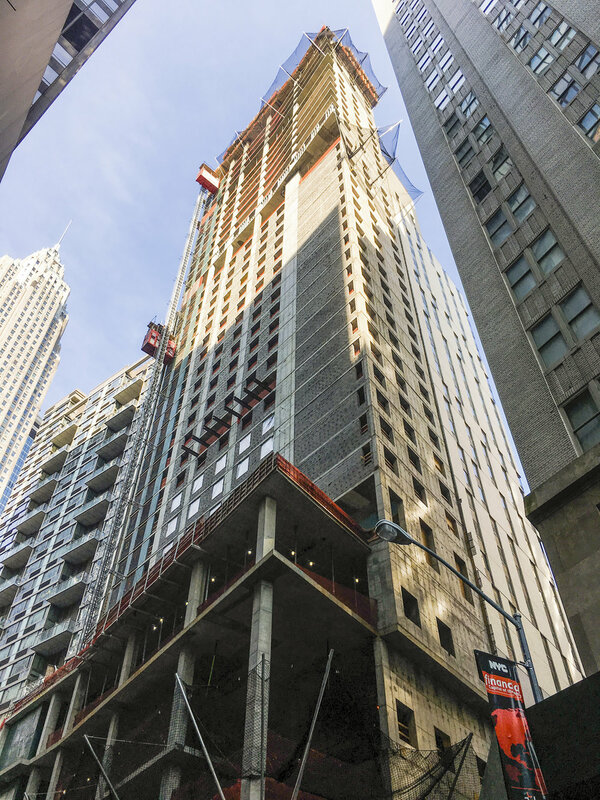 This impressive hotel tower located in the heart of the financial district demanded a flexible shoring system to meet the challenging architectural features and varying shoring heights. 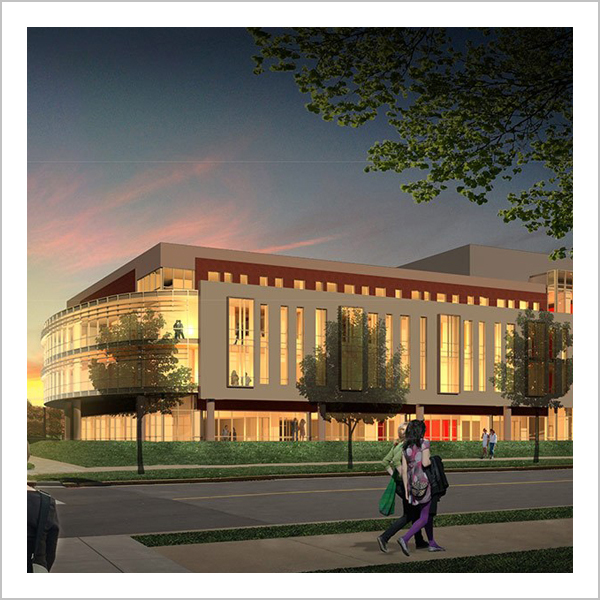 TITAN’s engineering group provided creative turnkey solutions to safely and efficiently meet the building’s challenges. 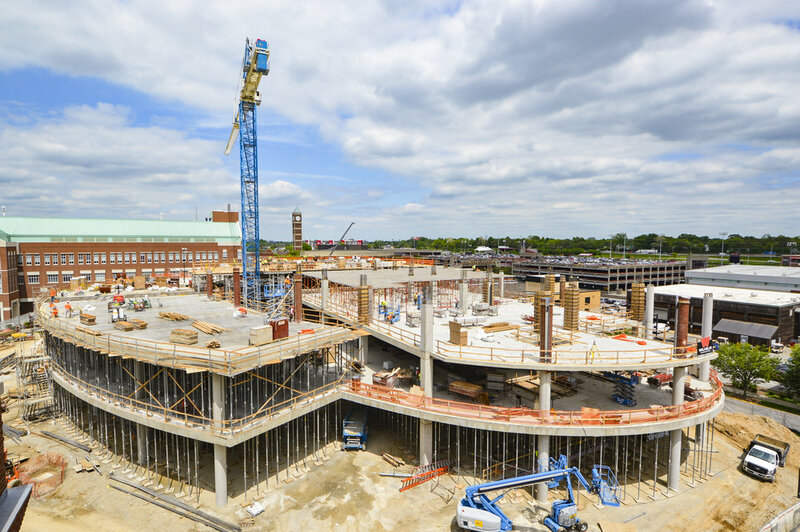 This long span parking garage boasted a 6% slope throughout the cycle of the project. TITAN HV can handle up to a 6% variation in slope without any modification of shores. The system has the capacity to reach a 12% variation if needed with the 8% wedges attached between the drophead and shore plate. This unique academic building in Louisville has four levels of curved floors and a waffle slab used on the first floor. 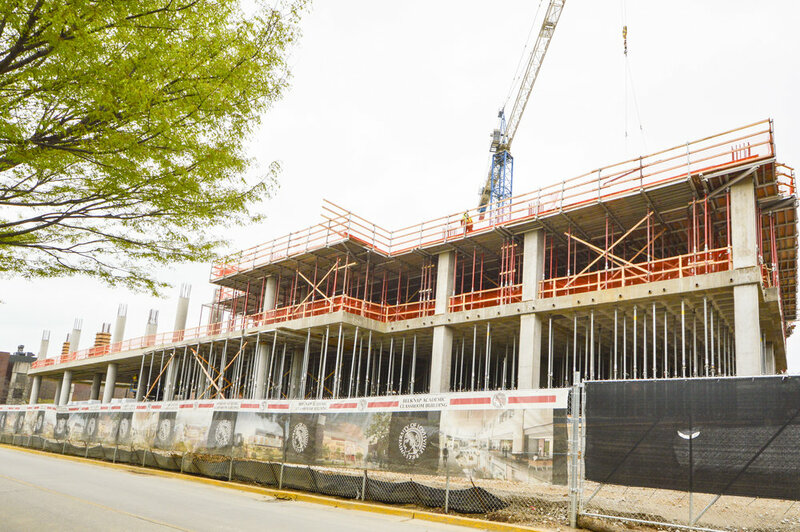 The fourth floor required multilevel shoring at heights of up to 42’ using the TITAN MAX shoring system to accommodate the tall shoring/high capacity areas. 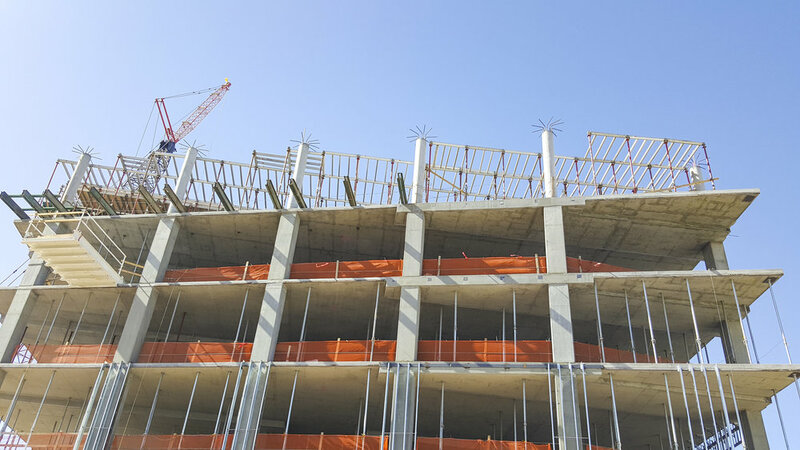 The cantilevered roof of this 7 story office space created a challenge for the builders who utilized the engineers at TITAN to solve their problem. TITAN offered specialty products and solutions to keep the job on schedule. Located in Los Angeles, this expansive garage and retail space featured TITAN XL shores for the decks up to 24’ and TITAN MAX for the taller shoring and ramps.